Downtown’s historic core welcomes its first wine and craft beer bottle shop and tasting room this week thanks to Public, a dual-purpose drinks space which opens for retail sales today in the bottom floor of the Walker Lofts on 4th St.
A cross between a wine bar, a craft beer bar and the non-liquor-slinging portion of BevMo, Public is the first place in Long Beach where locals will be able to purchase bottles of both beer and wine to take home from the ample front retail area or–once construction is completed in a few weeks–cozy up at the bar in the back and enjoy a small plate of food along with a selection of beers and wines available to drink on-site. 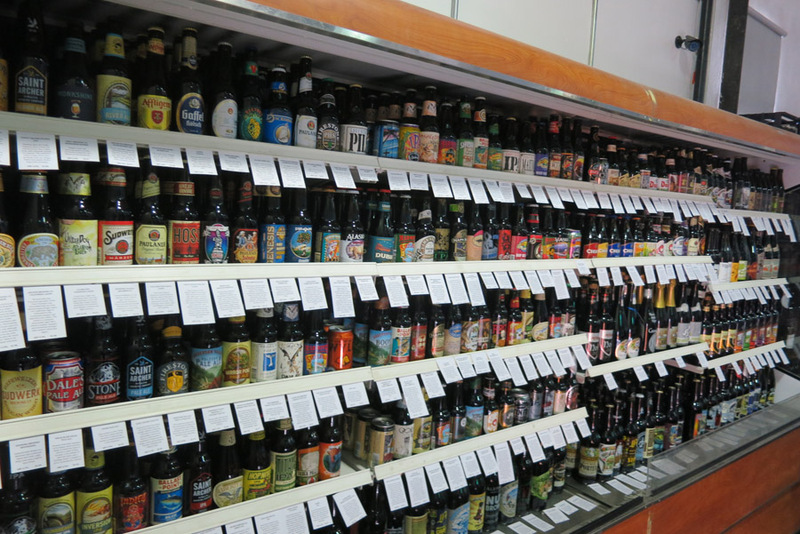 Los Angeles County already has a few stores with similar setups, including Buzz in Downtown L.A. and Select Beer Store in Redondo Beach, but the idea of mixing equal parts off-premise wine and beer sales with on-premise consumption is more commonplace in places like the Pacific Northwest, where Public’s Director of Operations Bobby Wang grew up. Since there are also no major bottle shops in Downtown, Wang envisions Public as being a new hub for the neighborhood’s beer and wine fans, and has spent the last year curating a diverse and affordable selection that will satisfy both novices and experts. From the chill case full of more than 180 local and California-centric craft beers (available for purchase individually or through a build-your-own-six-pack) to racks of top-rated vintages of reds, whites and sparkling wines from around the world, Public tries to be a champion of the consumer by finding the best products, but not necessarily the ones that are the most expensive. 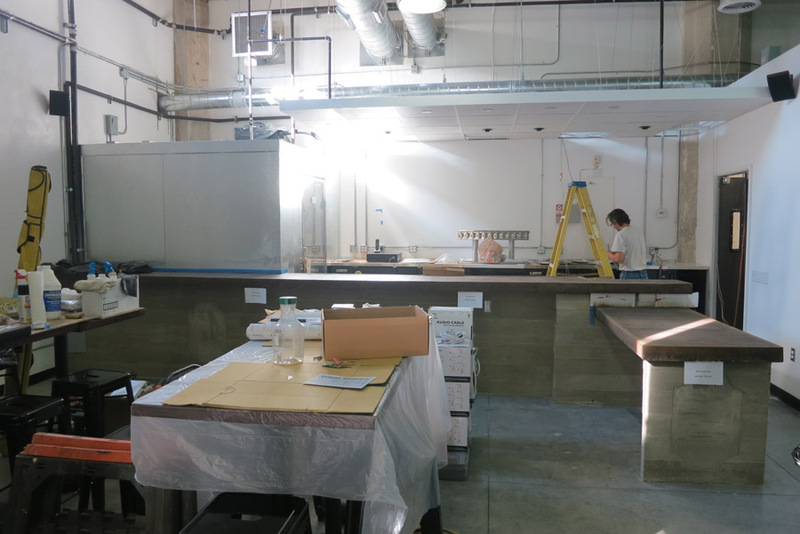 The bar area, which is still under construction, is expected to open January 10. Though the kitchen and bar–and, thus, on-site consumption–won’t be full available until the week before Public’s January 17 grand opening, there are already talks about hosting tastings, seminars and classes in the high-ceiling, multipurpose space. Movies will be projected against a blank wall adjacent to the seating area and Wang is working with some Long Beach artists to fill the store’s remaining white walls. Public is located at 121 W. 4th St. Hours are: Mon – Thu: 11:30AM-11PM; Fri – Sat: 11:30AM – 2AM; Sun: 11:30AM- 11PM. For more information, visit publicbeerwineshop.com or follow them on Facebook.